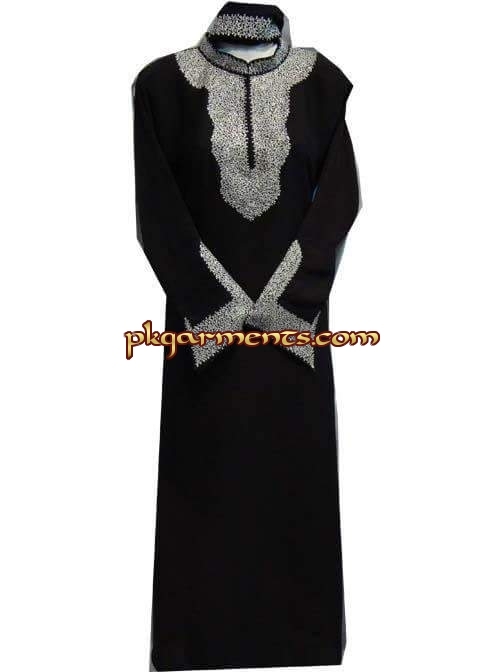 When it comes to Abaya, black is indeed a popular choice in general. However, now with more and more women getting fashion conscious there are a number of bright vibrant colors and designs too. With exquisite works of embroidery, patchwork, mirror, stones, zircon, beads, sequins and crystal work adorning the Abaya, this is one hard to resist dress. The designs vary from place to place depending on the requirements and culture. From shiny satin, crepe, georgette to the ever so simple and elegant cotton, PkGarments.com have it all. 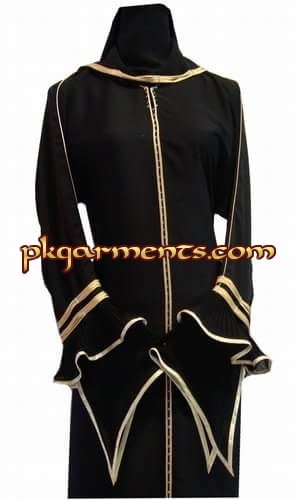 With many designs now very popular, the Abaya comes in styles that is closed from top to bottom or is a front open pattern with rows of buttons from top to down that adds to its beauty. Zippers too have come to be very commonly used in designs to add to the convenience, style and comfort. 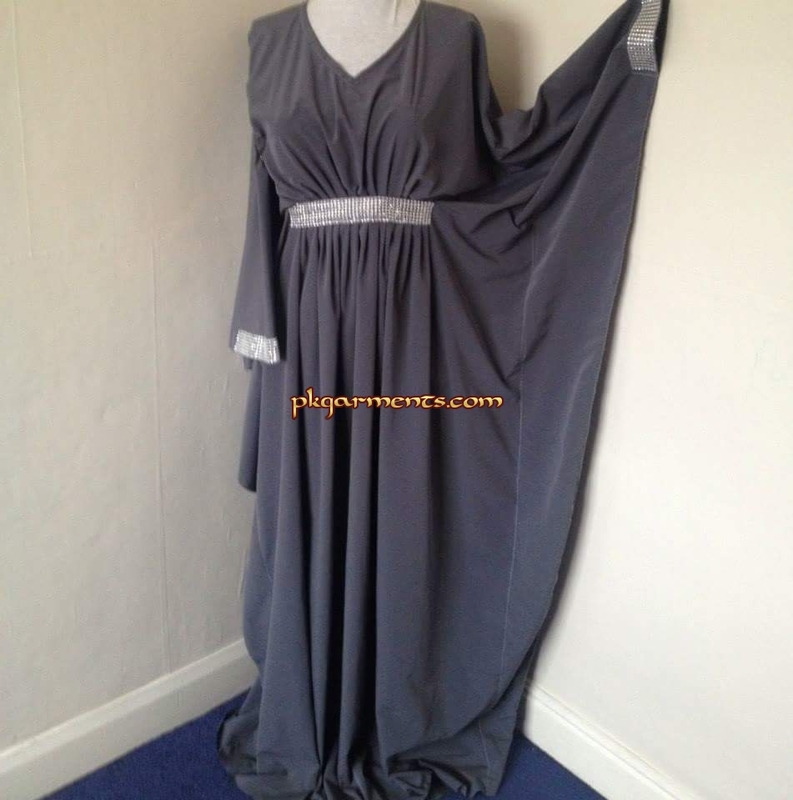 All sizes are available from small to plus size. 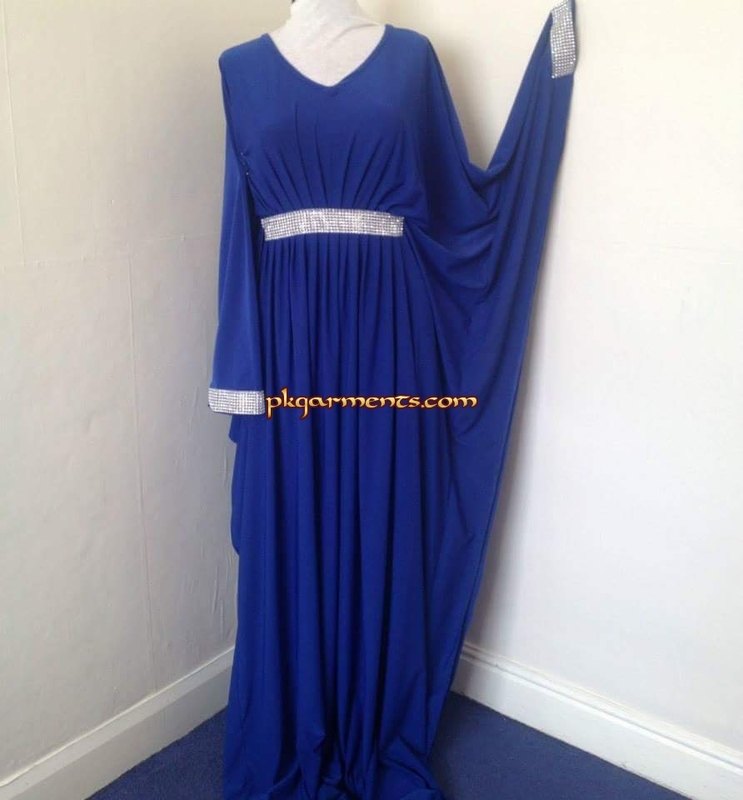 Any size or height could be made in the model of your choice from our wide variety of Abaya collection.